I’m joining Cynthia, Courtney, and Mar for this week’s Friday Five Link Up! This week’s theme is Spring! Spring is when most everyone starts to venture outside, so let’s have the last indoor hoorah with an indoor tri! I’m sharing my 5 Indoor Tri Tips… Mmm tri tips, oh wait, this isn’t a post about food. It’s about preparing for an indoor triathlon! 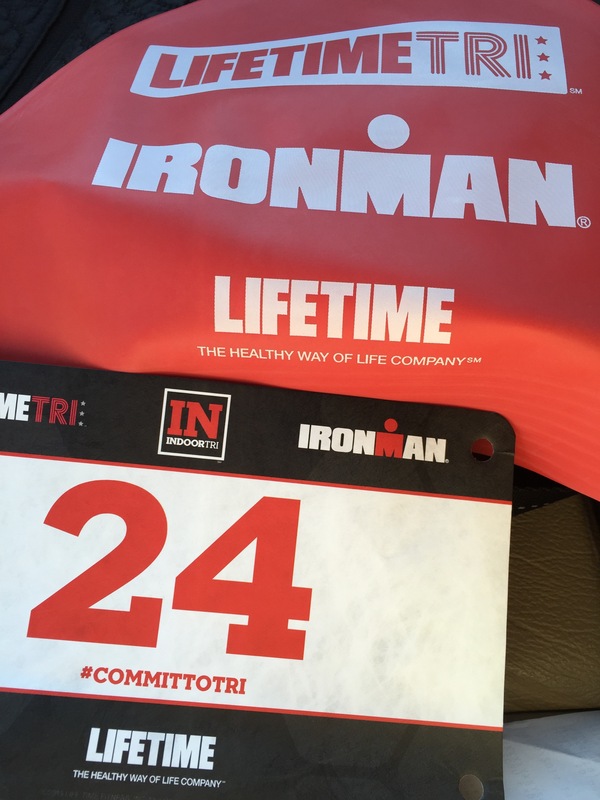 I’m participating in the Lifetime Tri and Ironman Indoor Tri Power Hour and it’s 5 weeks away. 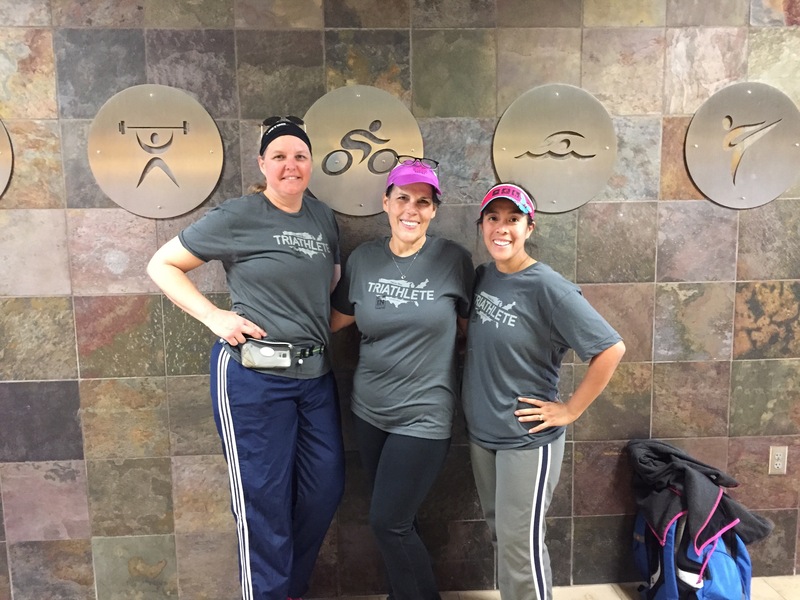 Here are 5 things to Spring-board you into your first Indoor Tri (see what I did there)! The indoor tri is the perfect way to “try a tri” without worrying about all the equipment and the intimidation of completing set distances. 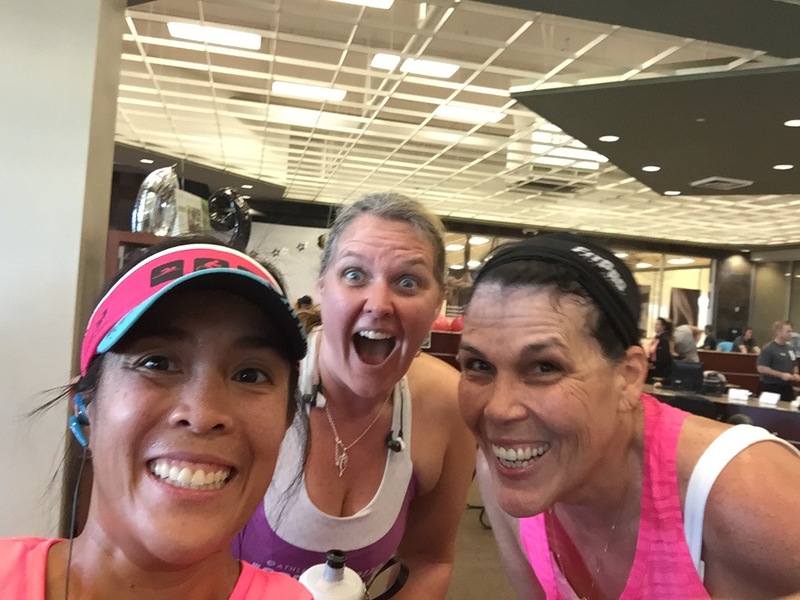 Lifetime Tri and Ironman are hosting the Indoor Tri Power Hour at locations nationwide. While you don’t have to worry about bringing a wetsuit or a bike, you still need to be prepared for the “race day.” Your indoor power hour: 10 min for swim, 30 min for bike and 20 min run. Get there before your wave starts to get your things situated in the locker room. About 5 min before your wave time, you’ll go out to the pool deck for instructions. During the swim, you’ll typically split the lane with another swimmer. You’ll swim as many lengths as you can in 10 min. Don’t worry about counting, there will be someone assigned to counting your completed lengths. The spin bikes will be set up for the right power. You will need to adjust the height on the bikes. 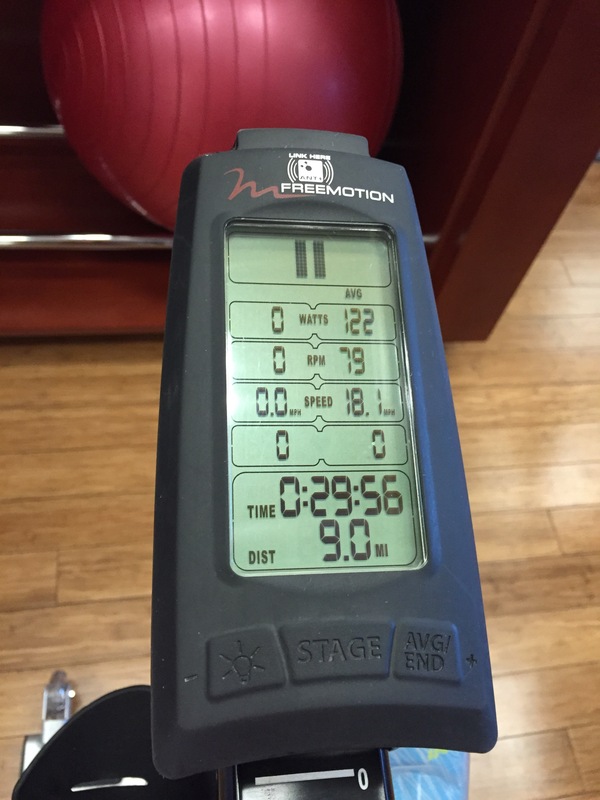 After a 30 min spin, you’ll have 5 min before the run/treadmill segment starts. 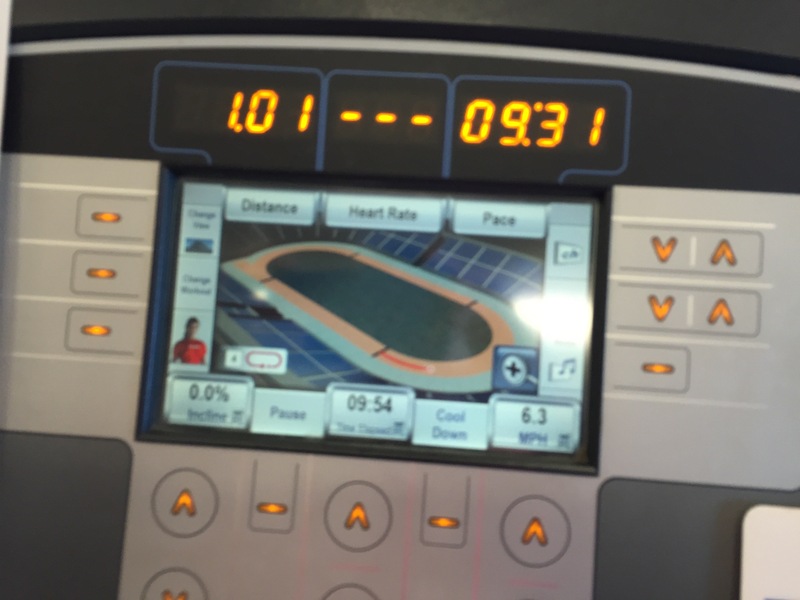 All treadmills start from a stopped machine and everyone will power up at the same time. You can change your incline, if you are so inclined. After 20 min on the treadmill, you will have completed your triathlon! Congratulations Triathlete! Don’t try to contain your excitement!! Swim: Swimsuit, goggles, and maybe a towel for drying off. LifeTime Fitness typically has towels available in the locker rooms. Swim caps are typically provided for the race. Bike: Outfit for biking and running. Bike shoes optional. Hydration (water, sports drink of choice). Safety pins or race belt for your race number. Run: Comfortable outfit. Don’t forget your running shoes if you have your bike shoes. Hydration (water, sports drink of choice). Make sure to be aware of spots that may chafe — you won’t be completely dried off after the swim. Test out your swim suit and your biking/running outfits for any hot spots! Make sure you use glide on all those hot spots. This is the one Triathlon where you can listen to headphones on the bike and the run and you won’t get disqualified! Fill your player with some pumping tunes (I love the RockMyRun app, the Old School Fun Run Vol 1 is my favorite! ), dance it out and do what you need to do to get yourself to push through the miles on the bike and the treadmill. Don’t forget to check out the Friday Five Link Up with Cynthia, Courtney, and Mar! Do you have indoor questions? Or other tips for someone completing an indoor tri? Have you done an indoor tri? What did you think? 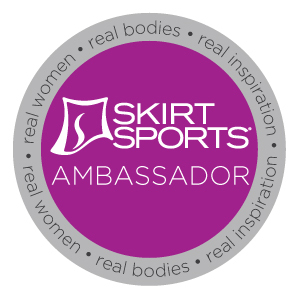 Posted in Link Ups, Races, TriathlonTagged bike, committotri, indoortri, Lifetime, race, run, swim, triathlonBookmark the permalink. I love this idea. I am scared of biking outdoors after being flipped over the handlebars as a child. This might work if I ever get up the courage to try a Tri! This is the perfect way to try a Tri! I’m sorry that you had a bad experience growing up, but maybe the indoor Tri can boost your confidence to get back on the saddle. No other vehicles or moving parts to worry about. Give it a Tri! ;). Thank you for stopping by! This would be great to do on the rainy days this spring. I am not a big swimmer but getting out of my comfort zone I need to learn to do. It’s a perfect way to get out of your comfort zone. I’m not a strong swimmer and as long as you are moving forward (you can pool run!) it counts! My friend and I did our own Indoor mini Tri last fall and it was fun to see how much we can push ourselves and each other. I never heard of an indoor tri but it sounds really cool! I’m not a strong swimmer but this would be a great introduction to someone like me to the world of triathlons! Janelle- I’m not a strong swimmer either, so the indoor Tri is perfect since you don’t have to worry about tackling a set distance, you’re swimming for 10 min. 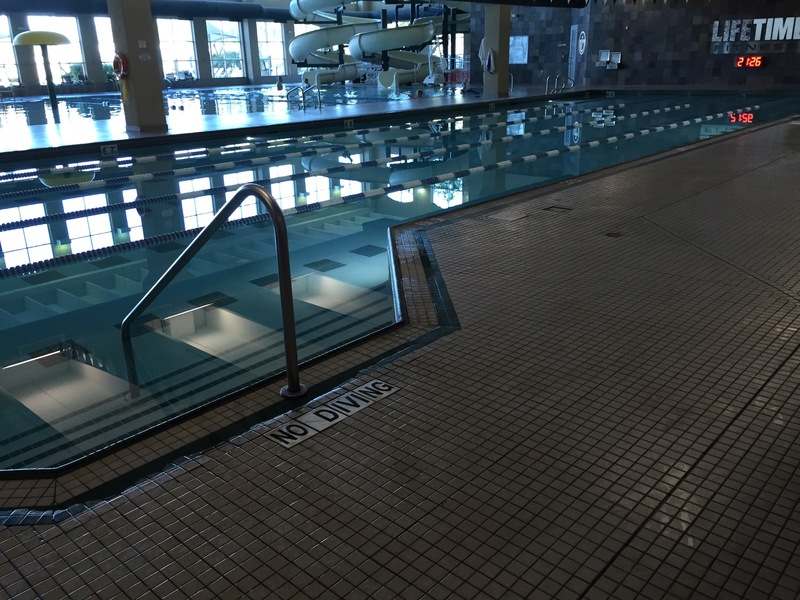 You can even pool run or rest at the ends as needed! I’ve never done an indoor tri, but it seems interesting. I’d be fine up until the dreadmill. Sounds like a great idea for someone who wants to try a tri, but isn’t comfortable on the open road. very cool! one of our Y’s puts on an indoor tri and I might have to give it a try next time around. I’ve never done an indoor tri but it sounds like fin. I’ve done an Olympic course triathlon and that was tough. This seems like a great way for me to transition back to them. I don’t know anywhere around me that does them though. You don’t need to have an official indoor Tri. You can set your distance or time and make it your own! :). That’s very cool. It’d be something fun to tri. I love RockMyRun. Some great mixes on there and they’re always adding which is nice. Yes! I love the versatility of Rock My Run. And I’m lazy so I love that I don’t have to make the mixes! !